The Inn Around the Corner bed and breakfast serves a sumptuous breakfast with legendary Southern Hospitality. 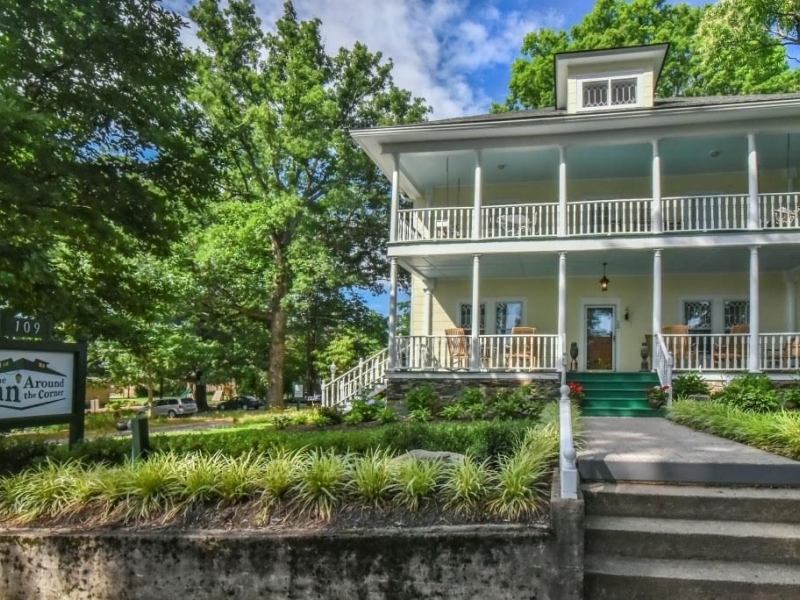 Relax on one of the porches and view the splendor of the Blue Ridge Mountains. Discover local artisans and crafts or take advantage of the breathtaking scenery and outdoor activities. Your hosts at the Inn Around the Corner will help you find lots of great things to do in Black Mountain, nearby Asheville, and the surrounding area.